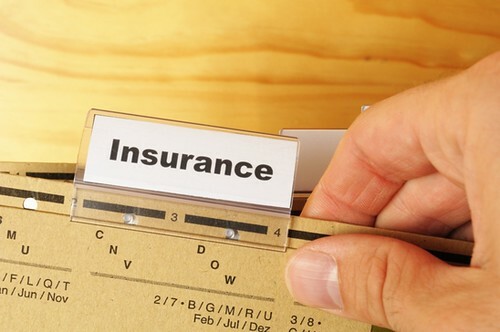 What Should an Insurance Company have to do to Gain your Trust? If you want to remain financially secure you need insurance. It doesn’t matter what type of profession you have. Everyone needs insurance to be protected from accidents. If you don’t take the proper precautions you could end up damaging your finances. You will find lots of different kinds of insurance based on the precise type of plan you’ll need. Before you rush off and buy just any policy you need to be comfortable with the company you choose. There are many unscrupulous insurance companies who would love to take advantage of you. We will go over several indicators that the insurance company you have chosen is a good one. You should not go with the first insurance company that you see. Many of them will use carefully chosen words like “care” and “trust” to attract you to their brand. Lots of companies will use these words when advertising, but not all of them will live up to their claims when an accident happens. If you don’t choose carefully you can have a lot of trouble trying to make a claim. All this is exactly why you will want to ignore all of a company’s marketing tactics. Ignore everything associated with their company like their name, images and branding. Insurance companies that don’t bother with fluff and get right to the point are usually good choices. Trust can only be established when everything is straightforward. If you understand the companies benefits and coverage without too much explanation that’s a good start. Many insurance companies will avoid talking about pricing if they get the chance. If their client doesn’t make any effort to find out about the exact pricing they certainly won’t mention it. You can end up paying a higher premium then you anticipated if you are not careful. You need to make sure that they break down their pricing in easy to understand terms. There are two factors that are important when it comes to pricing. The coverage needs to be up to par for what you need, and the cost needs to be fair for what you are getting. You know you have a trustworthy company if these two conditions are met. The final thing you need to check is that all the conditions of your insurance are clearly spelled out in the contract. Never sign a contract before you understand everything that’s inside it. If some of the words it uses are confusing ask for clarification. This applies to any part of the contract. If all the terms look fair and you understand everything 100% only then can you sign the contract. It’s important to leave emotion out of insurance deals. They use lots of clever marketing strategies to try and gain your trust. The most important thing is that you get the coverage you need in case of an accident. Forget the marketing hype. Author’s Bio: Kevin Brown a good writer on insurance topic and he suggested to log on Insurancecompanies.org for more information.